The vast majority of films produced by Mumbai's commercial Hindi language film industry - known world-wide as Bollywood - feature songs as a central component of the cinematic narrative. While many critics have addressed the visual characteristics of these song sequences, very few have engaged with their aurality and with the meanings that they generate within the film narrative and within Indian society at large. Because the film songs operate as powerful sonic ambassadors to individual and cultural memories in India and abroad, however, they are significant and carefully-constructed works of art. Bollywood Sounds focuses on the songs of Indian films in their historical, social, and commercial contexts. Author Jayson Beaster-Jones walks the reader through the highly collaborative songs, detailing the contributions of film directors, music directors and composers, lyricists, musicians, and singers. A vital component of film promotion on broadcast media, Bollywood songs are distributed on soundtracks by music companies, and have long been the most popular music genre in India - even among listeners who rarely see the movies. Through close musical and multimedia analysis of more than twenty landmark compositions, Bollywood Sounds illustrates how the producers of Indian film songs mediate a variety of influences, musical styles, instruments, and performance practices to create this distinctive genre. Beaster-Jones argues that, even from the moment of its inception, the film song genre has always been in the unique position of demonstrating cosmopolitan orientations while maintaining discrete sound and production practices over its long history. 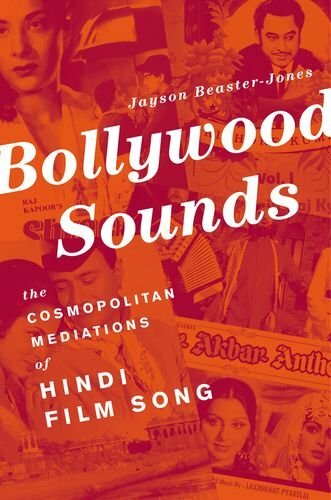 As a survey of the music of seventy years of Hindi films, Bollywood Sounds is the first monograph to provide a long-term historical insights into Hindi film songs, and their musical and cinematic conventions, in ways that will appeal both to scholars and newcomers to Indian cinema.